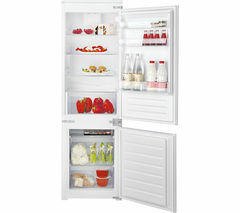 Currys offer a complete range of Indesit fridge freezers with the storage space, energy efficiency and convenience features to suit different households and lifestyles. We’ve got appliances with different fridge and freezer sizes, so there’s something for those who store more fresh food, those who need to buy more frozen goods, and people who need something in-between. 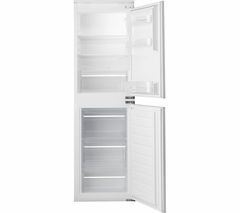 Consider buying a frost free refrigerator to spare yourself the messy chore of manual freezer defrosting. Our Indesit kitchen appliances help save you money with energy ratings of A+, and they’re affordably priced too. Store more food whilst reducing your carbon footprint and running a more economical household with an Indesit fridge freezer from Currys.